Hello! 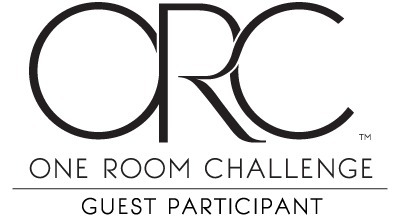 I am SO excited to announce that I’ve decided to participate as a guest in my first ever One Room Challenge!! If you’ve never heard of the ORC, it is a bi-annual event that showcases 20 designers (in addition to tons of guest participants)! Everyone chooses one room to makeover and share weekly updates on over the course of six weeks. Today marks Week 1 of the challenge. Every Thursday I will post an update of my progress and on November 8th, the big reveal will be posted! Be sure to keep following along on here and on my Instagram account (@meredithlynndesigns) for glimpses into my progress and planning! If you’ve clicked over here from the One Room Challenge site, hey there! My name is Meredith and I’m so pumped to be participating as a guest in this season’s challenge. My husband and I bought our first home in May 2017 and I’ve been slowly updating it room by room to make it feel more like home. Thanks for stopping by, hope you enjoy! Now onto my plans… I’m choosing to makeover our master bedroom. For whatever reason, I have never made our room a priority. But I am tired of it being neglected and I’d love to transform it into a space that I actually like being in. Since moving in, all we’ve done is paint the walls. And even that was never totally finished! We were on a tight deadline when moving in, so all we did was spray a light layer of white paint over the ugly beigey/yellow/brown color that it was. My number one favorite designer is Amber Lewis of Amber Interiors. I love the way she mixes neutral colors and natural textures to achieve a laid back, California modern vibe. I’m really hoping to be able to mimic that feeling in our room. I’ll begin with showing you the listing photo so you can see the “true before”. No rug, mismatched nightstands, and yes- there are two knobs missing from our dresser. So. Embarrassing. I REALLY didn’t want to show the before, but I’m hoping that now since this is out there on the internet- it will keep me motivated to work hard! Oh- and also due to some unexpected expenses over the summer (new water heater & HVAC), I’m also under the constraint of a tight budget! In order to keep costs down, I’m going to be scouring thrift stores and Facebook marketplace for a few key items (nightstands + random accessories) and then sticking to IKEA and other big box stores for everything else. It’s definitely going to be a tough to create a unique and pulled together look on a budget and on time, but I totally do my best work under pressure! Here are my overall plans - I wanted to put it together like this so you can see how it all works together. I’m really hoping to be able to find some vintage mid-century modern nightstands, but in the likely event that I don’t, I have a backup plan. Not so bad, right?! I think the hardest part will be keeping the cost down- but I’m pretty good at coming up with creative solutions! Keep checking back to see my progress and be sure to head over to the official One Room Challenge site to check out what the other guest participants + featured designers are up to!